"We are also significantly expanding our suite of over-the-top services through the recent launch of ET Live and the pending launches of 10 All Access in Australia and CBSN New York, with more international and local outlets on the way," CBS Corporation acting CEO and president Joe Ianniello says. The ad sales and revenue success comes at a good time for Ianniello and CBS, which has also been dealing with the fallout of the sudden exit of long-time CEO Les Moonves, amidst sexual misconduct allegations. At Ten's Upfronts event last week, CBS Studios International CEO Armando Nuñez was present, as the network revealed its All Access strategy, which will launch with a library of 7,000 episodes. 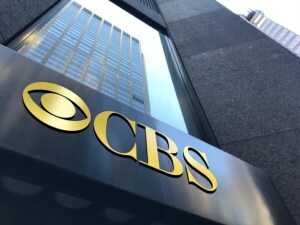 While a subscription cost is yet to be revealed, Ten did announce that the platform would allow users to stream CBS original series before they air on the main channel. 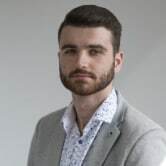 Australia's top media bosses have praised Ten's strategy, with many interested to see how the network's new data-driven sales strategy will impact its catch-up platform 10Play. Ad revenue from the recently acquired Network 10, as well as increased US political advertising, has led to a 14% ad sales boost for CBS in the third quarter of 2018. The corporation, which acquired 10 last year, highlighted the network's contribution to ad sales in its financial results on Friday. CBS also noted that its content licensing and distribution revenues were up 8% for the quarter, which includes the company's current content deal with Nine and Fairfax-owned streaming service Stan. Revenues for the third quarter of 2018 increased 3% to $US3.26 billion from $US3.17 billion for the same prior-year period, led by 79% growth from digital initiatives, including the company's owned streaming subscription services, which include CBS All Access. CBS added that it would focus heavily on it's streaming services over the next 12 months, particularly in international markets including Australia, following the announcement of the launch of 10 All Access.